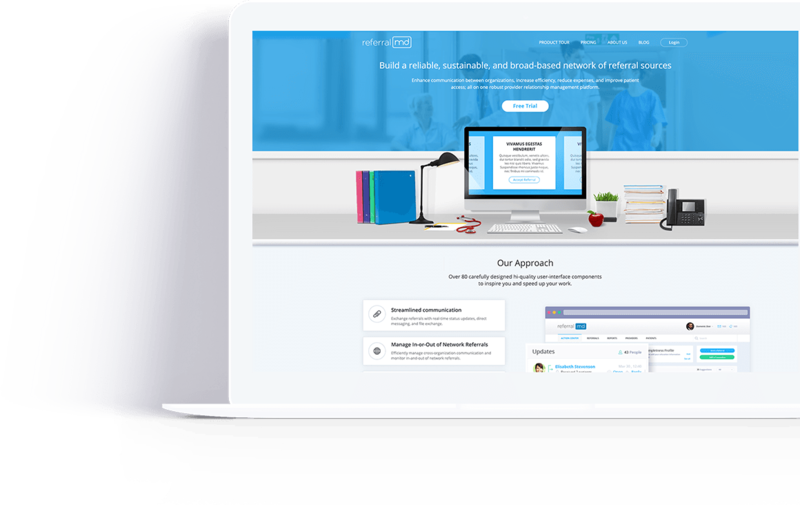 An internal smart directory to help doctors, nurses, and medical professionals find the right referral to fit their patient’s needs. Helping the medical profession make better use of their time and quickly find referrals for their patients was inspiring for all of us on this project. 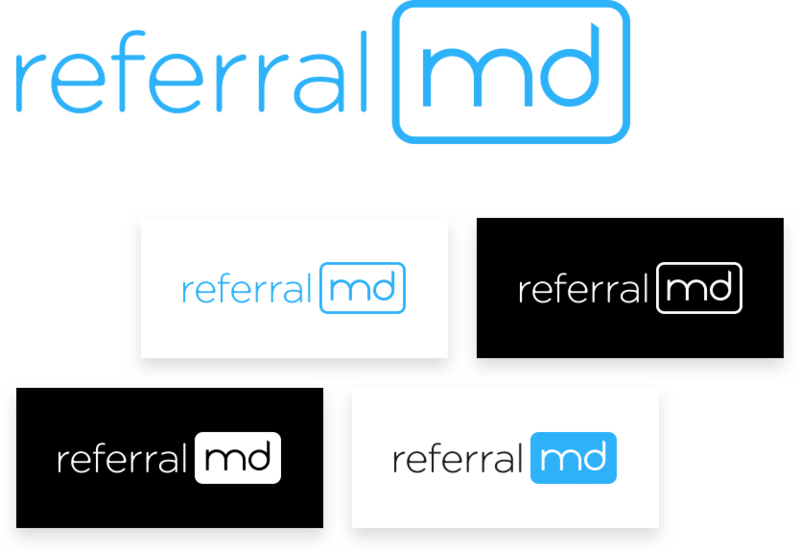 Our approach to the identity development for ReferralMD focused on two core adjectives: modern and clean, and one key graphic element: a button. The custom font treatment combined with the ultra modern design came together to create a timeless logo. Our UX work had to take into account that there would be literally thousands of medical professionals and ample amounts of information for each individual that needed to be filtered, scanned quickly, and selected for referral – all within a short period of time. The UI we created allowed for easy scrolling and a series of detailed filters to get doctors and nurses the list of quality referrals they needed with a minimum of clicks. Animated videos were created to walk user through all the steps they would need to understand to use the system and to find the perfect referral for their patient. The style we developed was designed for maximum readability while also creating a beautiful example of their new brand style in action.